Let’s cover the predictions first – Malcolm has dreams of a terribad future in which democracy is suspended and he is the supreme tyrant of the US while Ichabod is his prisoner. Equally Molly using her witness abilities (she sees Jenny who does a ritual of finding your path – and Molly is a prophet which is a convenient role for a child since it’s nicely behind the scenes and out of combat). Alex and Jake also see this with Alex’s tinder date catching the same ominous burning disease – but at least the date was terrible and over anyway (Jake was there for a bad date-rescue which wasn’t needed). Speaking of – we also have a new dream team from way back when set up by George Washington who were a special agency set up to fight whatever and apparently no-one felt the need to mention them in the last 4 seasons for reasons. I mean, we spent half a season on Betsy Ross, but these guys didn’t deserve a mention? They were Paul Jennings (a whitehouse slave – Ichabod calls him a servant and Jake excellently corrects him), Davy Crockett, Samuel Wilson and Sacagawea. They formed an early anti-supernatural super hero team and I’m leery. This show loves to name drop and while it’s nice they took the chance this season to name drop people other than the white folks of the time (though I still question how every single person of note from the era could know about the supernatural and it be so thoroughly forgotten) and that we have more historical and noteworthy POC’s names being dropped – especially if they are names that are not well known. At the same time building up a large false woo-woo history for POC which risks rewriting what they actually did (unlike the notable white people mentioned who don’t need to worry about what they did being forgotten or altered because of how well known they were) or brushing quickly over the oppression and bigotry they faced. It has an extra problem of really putting the very prejudiced founding fathers on a pedestal – the idea that Slave owning Washington et al would embrace and respect POC to add them to these teams is, frankly, dubious. It creates an idea that Washington et al were amazingly inclusive and would have trusted POC with this vital role when it’s highly unlikely they would have regarded any of these with anything resembling respect as human beings. 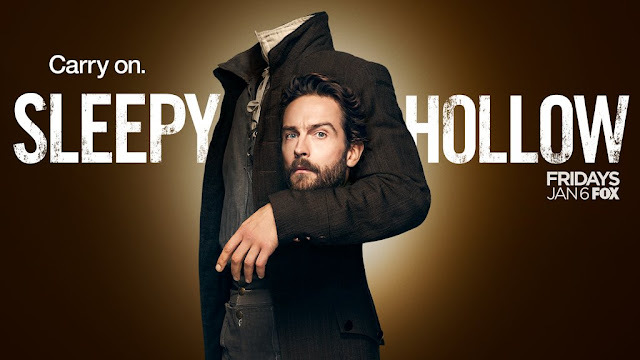 I hope that Jake with his willingness to speak in and over Ichabod (despite his hero worship) whenever Ichabod tries to gloss over the racism of the time will help a lot with that. But I’m wary – this old timey agency had 2 POC in it, I want to see how they are treated and referred to. I think Jake’s intervention is far too little to counter the shiny impression of the founders that Ichabod gives. The djinn is, as well, treated as random fire monster.